Chess player and chess pieces use this kind of chess for many years. But it doesn't mean that it won't change. 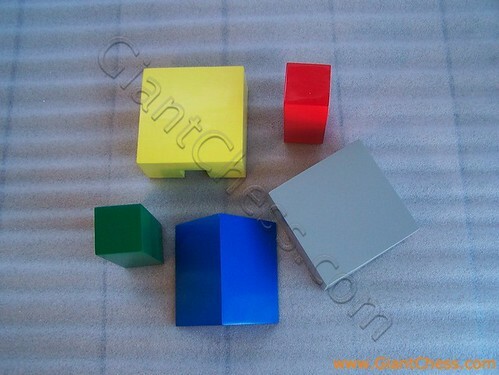 We introduce you different color of chess. This kind of chess is very unusual than ordinary chess. The white chess pieces againts the dark brown set. Those chess set looks very interesting for play. They will bring a new nuance in your game and sure that you will enjoy it. 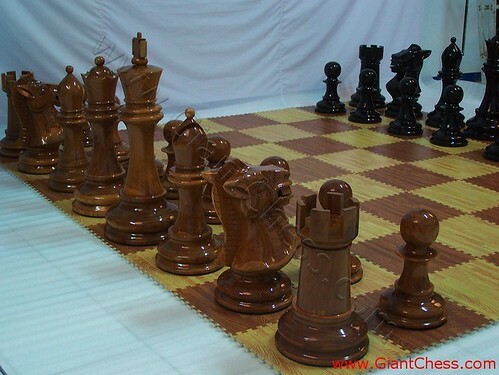 Those are wooden big chess set amount 32 pieces. Paint in black and brown, which add with glossy touch, make it looks simple but elegant. Those are made from best Teak wood material and carved in high quality product by professional craftsman. So unique and beautiful. 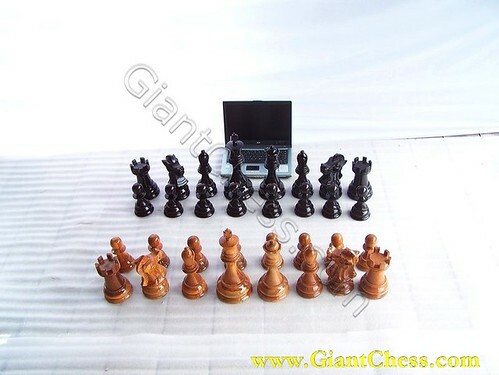 Perfect for you who loves chess game, so you can get it one set for your collection. 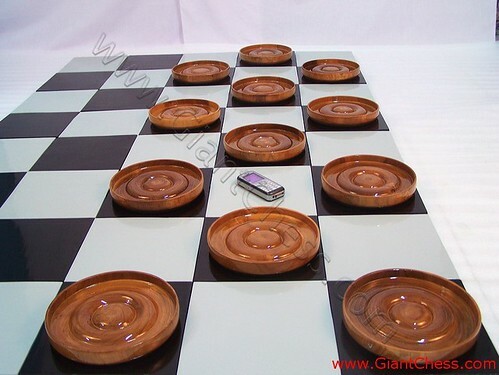 You just need a flat chess board or chess table to play. This is a part of our chess table. The buffer of chess table has showed to make you know about its strong in prop the table.It has designed in match size with the table. 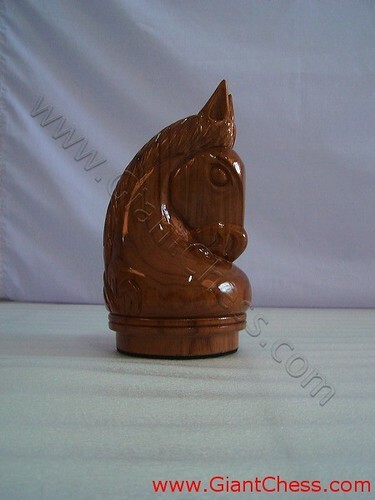 Made from best quality of Teak wood and carved by expert craftsman. You do not need worry about its durable and its strongest. 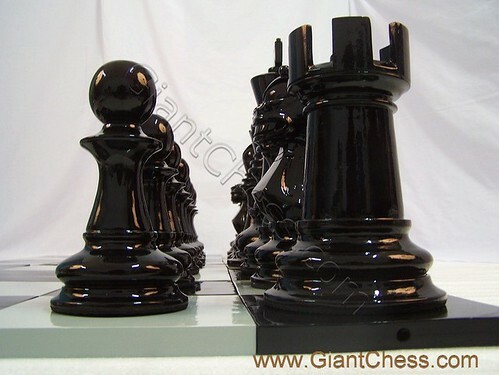 Generally designed for outdoor chess playing, this chess table has black metallic color. 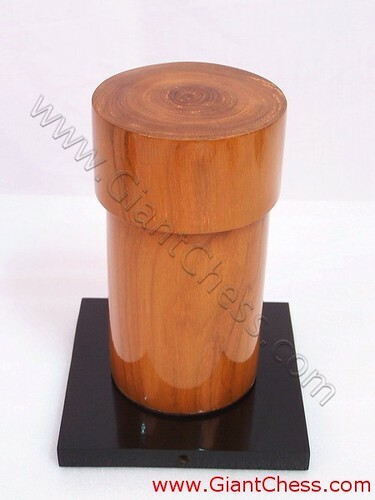 The table has two small storage places to keep the chess pieces in its two sides. It is also equipped by two stools. Perfect for your attractive chess game with your friends. 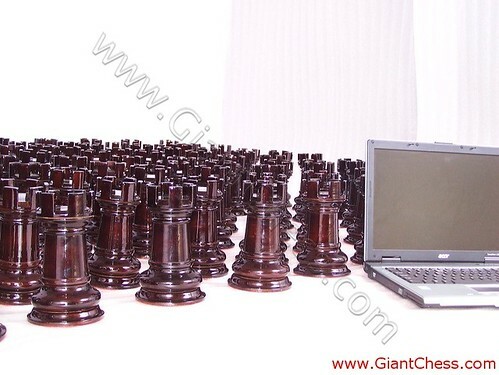 The outdoor chess table will add more fun in your chess playing. What is in your mind when you see the green chess pieces above? 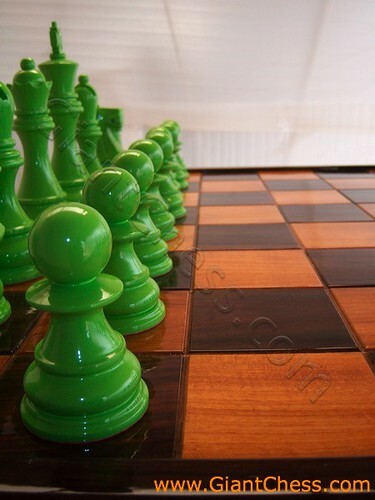 The beautiful wooden chess that polished in green color bring something different to your chess game. Green piece gives fresh mood to the environment. 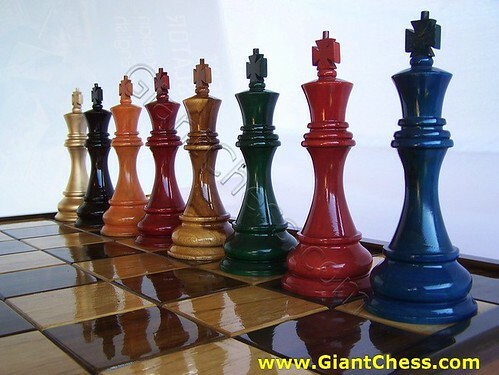 The king, queen, bishops, knights, rooks and pawns are polished in green, make them looks fresh and colorful. 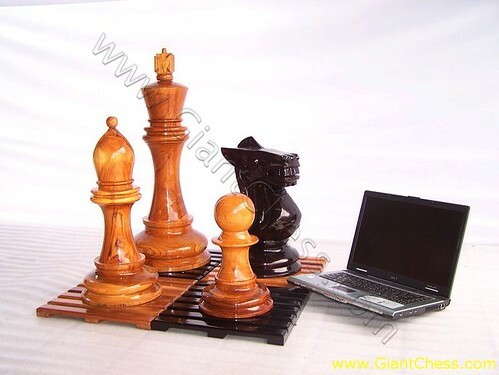 Change your ordinary chess pieces with the modern chess below. 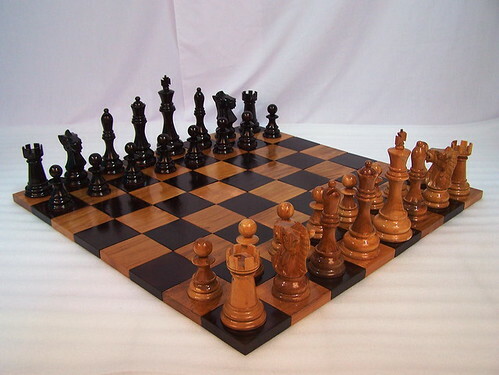 Make your game feel different and get new atmosphere in chess game. Sure that your partner will more enjoy the game. You just decided where will you play the game, in your house or at your backyard. 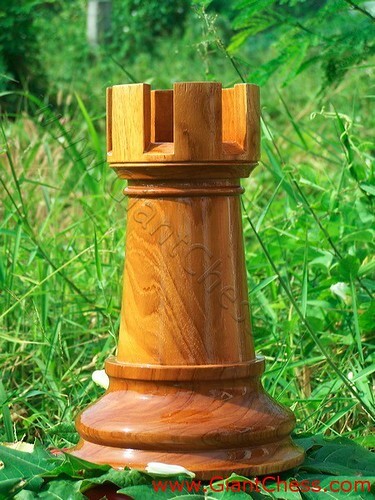 The green wooden chess has made from Teak wood. Durable for indoor and outdoor use. So you can use it where ever you want. Just try it! Color chess is unique and attractive for collect or for game. 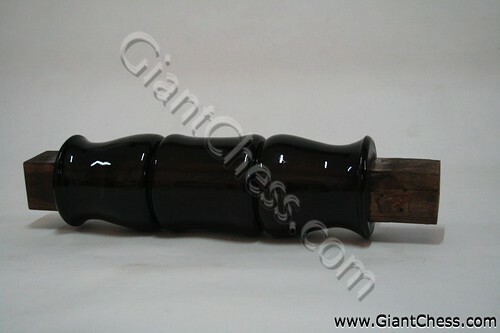 Kids and adolescent like to play with this kind of chess pieces. Colorful game is interesting and beautiful. You can choose which color that you like and use for house decoration. 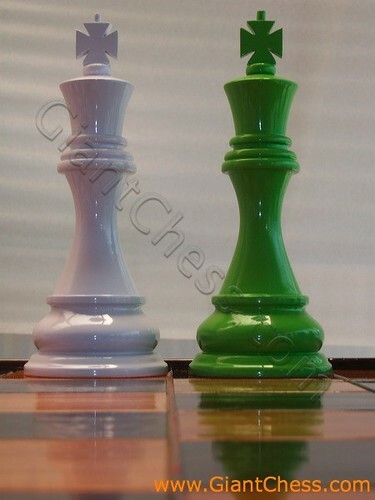 Imagine that you put one of this color chess piece in your living room or dinning room. Sure that it will looks so beautiful and surprised your guests. 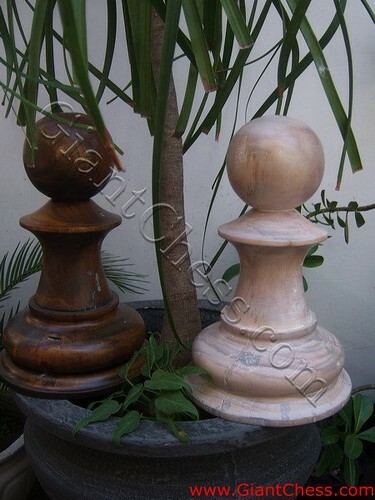 This 16 inch chess pieces, also of original Teak wood, has particularly suited for play outdoors. The playing surface for this chess set is a flat board of 8" x 8" squares. All ages can play on this set, of course, but children will be especially delighted to play with it in yard, garden, or even play room, and it is still light enough to be transported wherever one might wish to take it. Standard looking chess sets have been around for many decades. But this doesn't mean that your chess set should look the same as others. 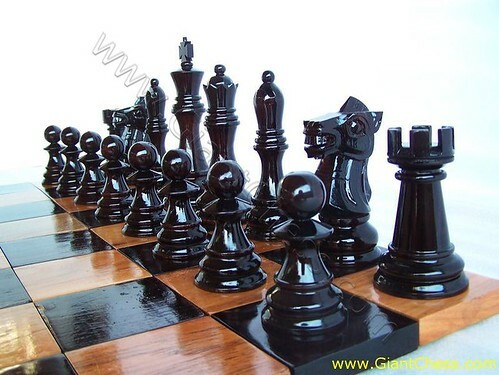 In the picture above is interesting chess pieces.The picture showed its unique touch of its furnishinf, which painted in different color than ordinary chess pieces. 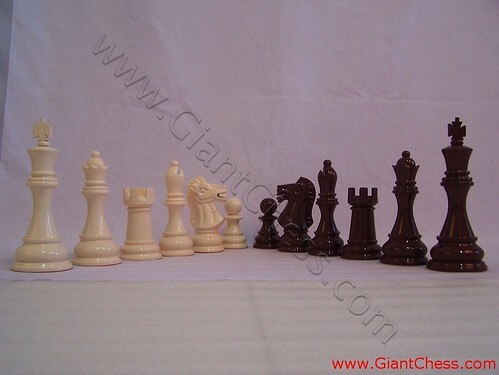 We provide beautiful chess sets in variety colors. 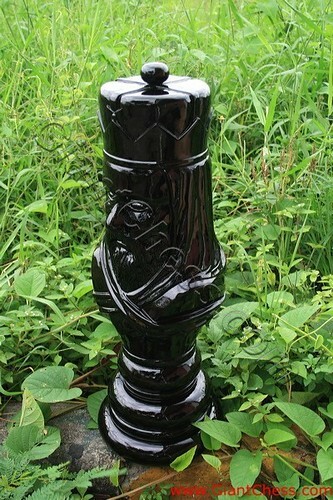 We also produce another kind of chess pieces that are carefully handcrafted in unique and polished to a bright shine. 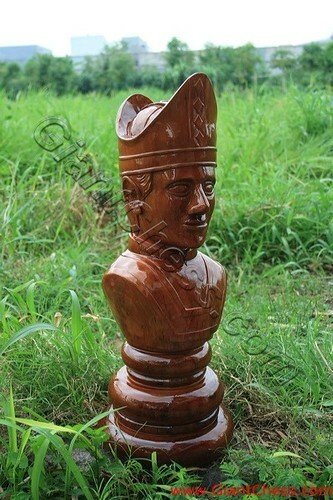 Your living room, reading room or even your office will look so elegance with this kind of unique chess pieces. The shape and color enable you to mix and match it with your contemporary furniture. 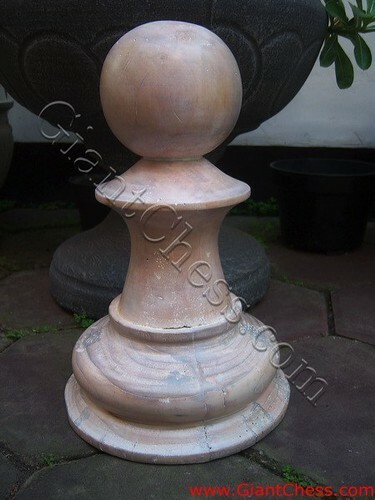 The Unique and beautiful chess pieces give the mood and climate of minimalist yet cozy atmosphere. As furniture decoration, it can be placed in the side of your room or door. The color gives the modern and elegance look so that it can be combined with your contemporary furniture.